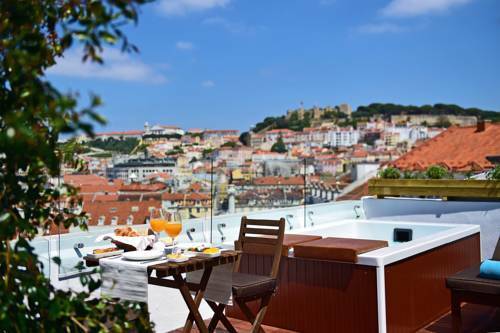 So you spent the day walking up and down Lisbon’s hilly streets, and now all you want is to go back to your hotel and relax in the jacuzzi? 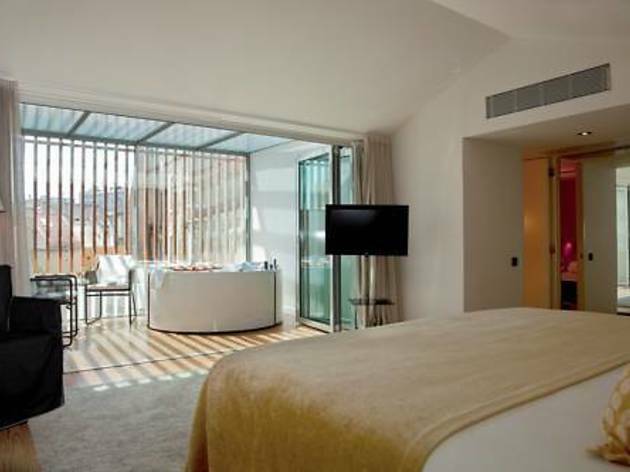 What if we told you that in the following hotels, you don’t even have to leave your room to relax? 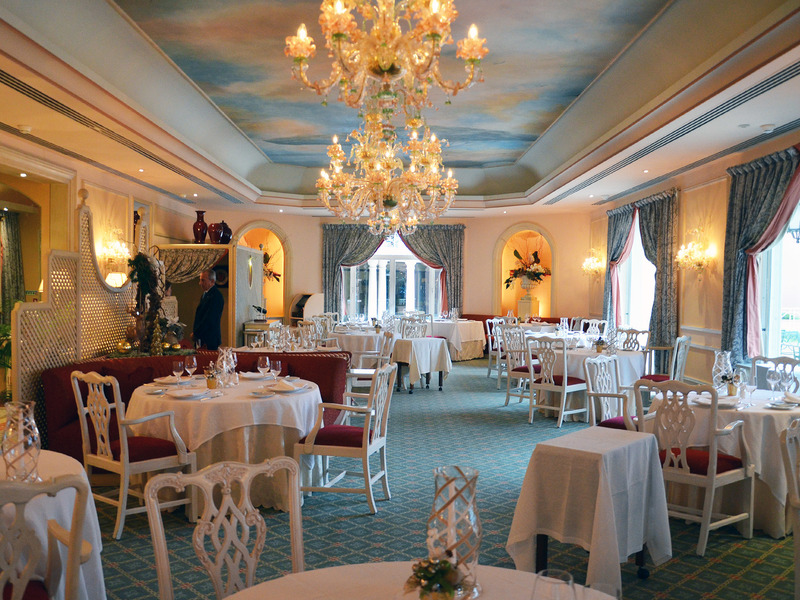 Among the best hotels in Lisbon, some are more conducive to romance than others. 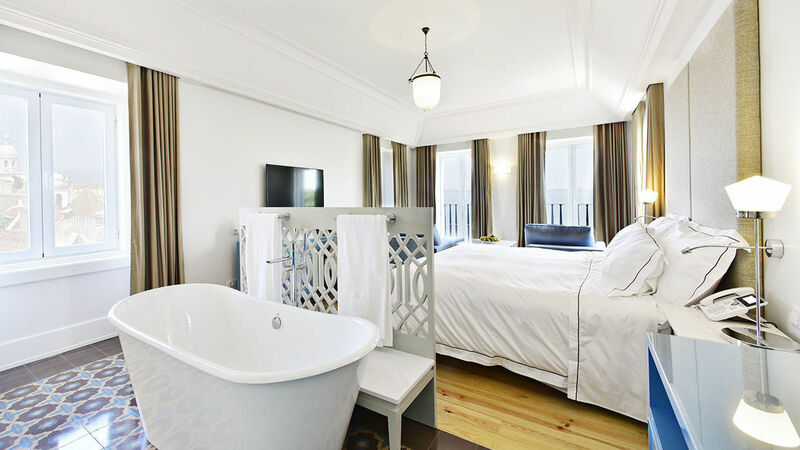 Finding a hotel with a jacuzzi in the room is not easy, but the truth is, having a bubbling tub at the foot of the bed or on the balcony makes everything better. 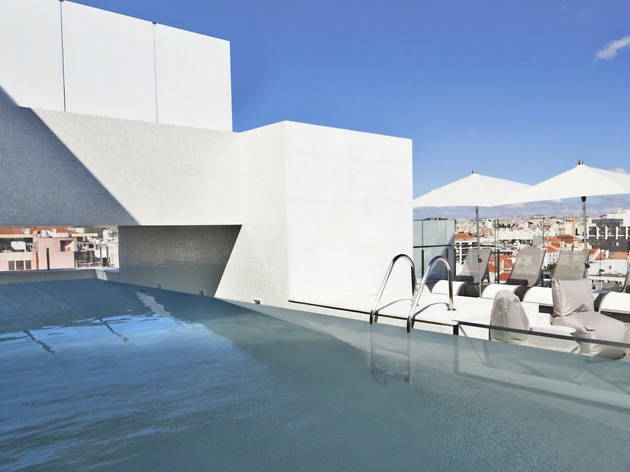 We gathered a list of the best hotels with private jacuzzi in Lisbon. 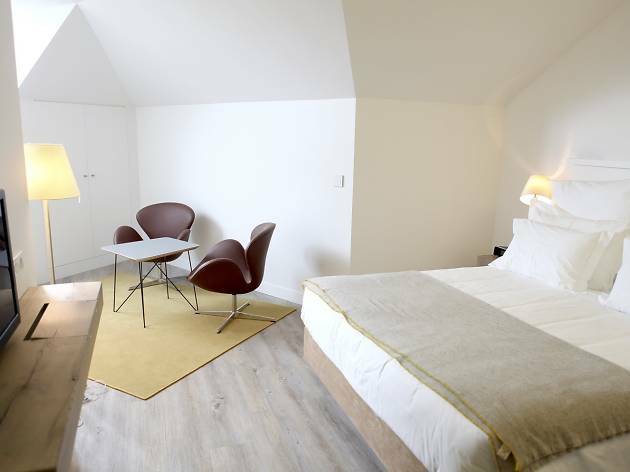 Here the jacuzzi sits at the foot of the bed and has a (protected) view over the street. 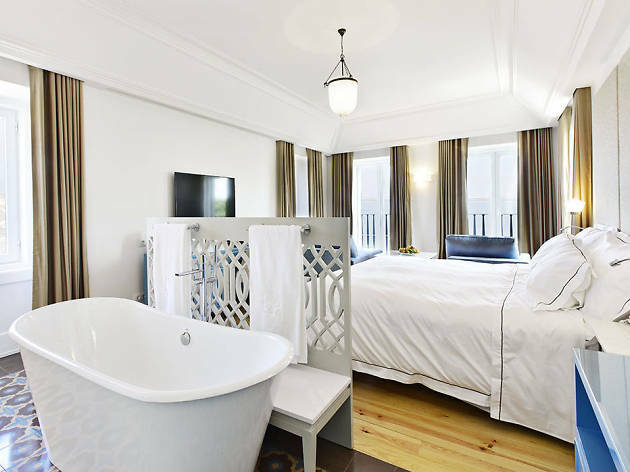 In this “large and glamourous” suite at the Inspira Santa Marta hotel, the private bathtub and jacuzzi allow guests to turn “a city experience into an authentic spa experience”. You might as well order strawberries and champagne. Avenida Almirante Reis 35 is where WC Beautique Hotel recently opened its doors. 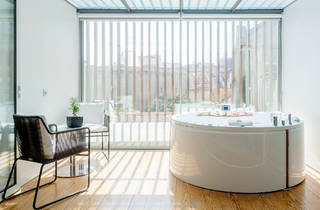 This charming hotel has an interesting concept: it offers all amenities in a bathroom atmosphere. 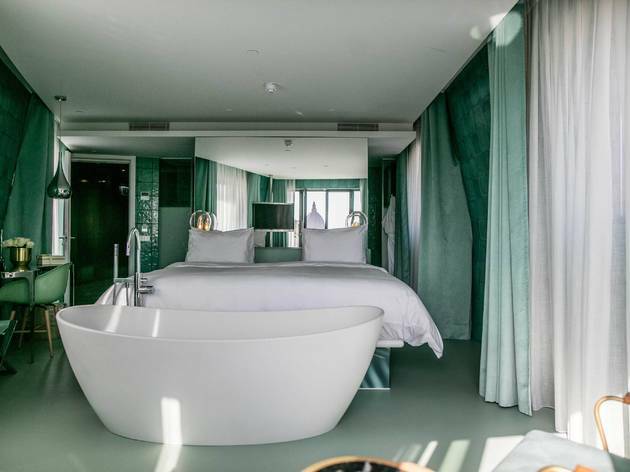 So it’s no surprise that it also features a beautiful bathtub at the foot of the bed - only in the prime bathtub room though, on the 6th floor. 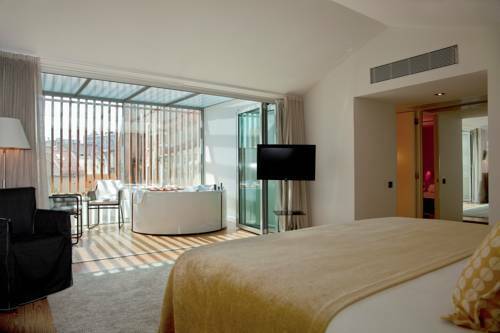 The Santiago Suite, on the top floor of this 15th century building, has an incredible panoramic view on the city and the Tagus River. A view you can enjoy from the comfort of the bathtub on the side of the bed. 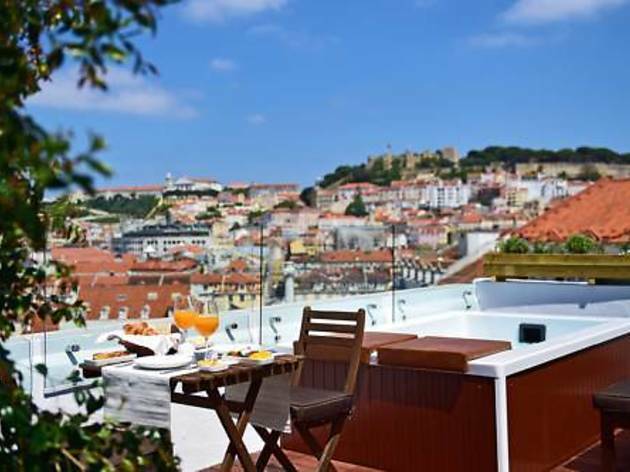 Casa Balthazar has three suites with jacuzzi, with added value: instead of being inside the (double) room, the jacuzzi is on the terrace, with a panoramic view of Lisbon. Boasting a view on the garden, the Padrão dos Descobrimentos monument and the Tagus River, this room’s best-kept secret is its private veranda: that’s where the jacuzzi is. 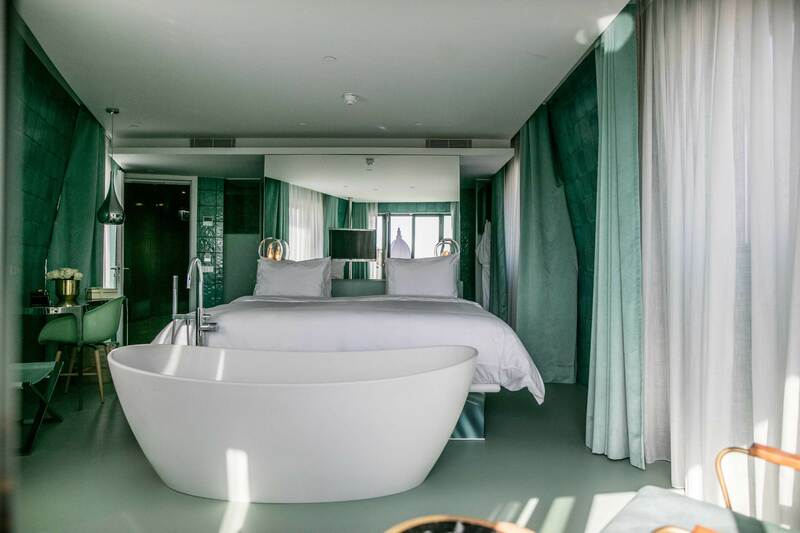 In the Diplomatic Suite, instead of a jacuzzi, you get a glass bathtub next to the bed. 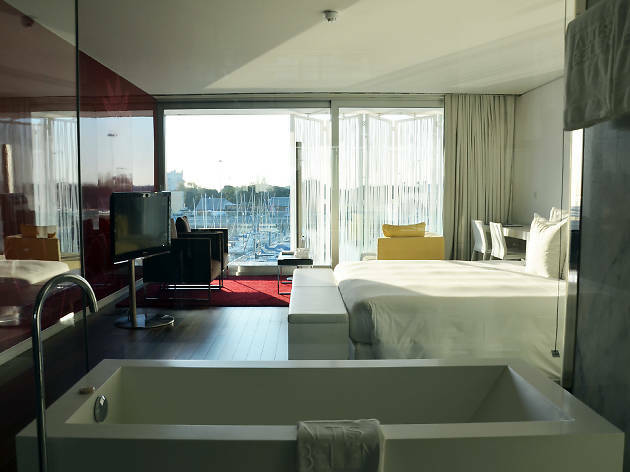 Sure, there are plenty of hotels in Lisbon, but a good bargain is hard to come by. 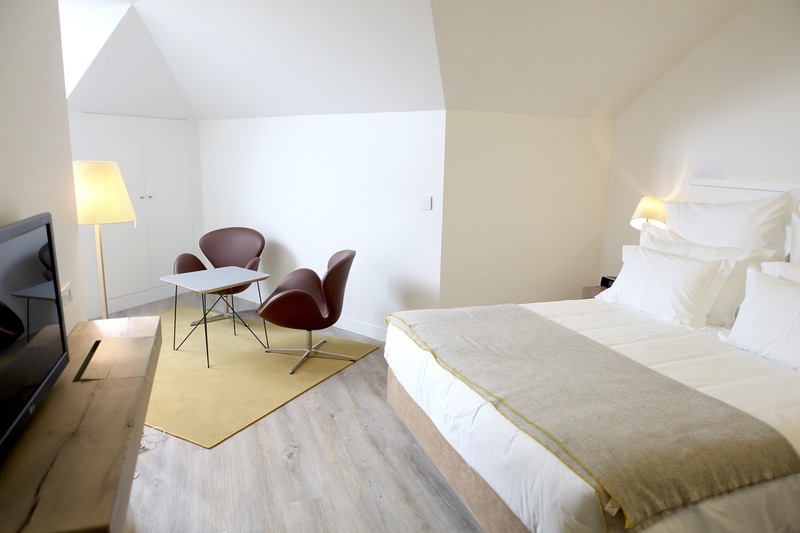 We went on the hunt for the best cheap hotels in Lisbon and came back with eight great ones, with prices between 50 and 70 euros a night. Save your Money and have a look at our selection, and if you’re still feeling thrifty check out how to have fun in Lisbon without spending a cent.